A wine reception for Kris Campbell, a 95 1/2 MAIN Artist, celebrating her Debut Solo Show. $25 Dinner & A Movie Friday 9/28! What’s not to love about this cozy, creative, tasty community Nyack happening? Join us for delicious Filipino food for dinner 7PM at Karenderya, 248 Main Street, then walk down Main St. to 95 1/2 Main for an award winning Filipino Indie film. Thank you for supporting Local! We welcome drop-ins but appreciate advanced tickets. Purchase HERE. Fall 2018 Schedule - more being added soon! One Show; Four Artists. Curated Contemporary Fine Art. Community. Wine. Bring the entire family to an interactive community exhibition. Enter the gallery and see only blank white walls, A Blank Slate. Drop-in at any time to make art; Help install it, or just enjoy the vibes and watch the exhibit come alive! A one of a kind Live Art and Sonic Collaboration between artist Jamie Baldwin Gaviola and musician Erik Lawrence, bringing Mandala Painting and Music Creation together for an evening to remember! 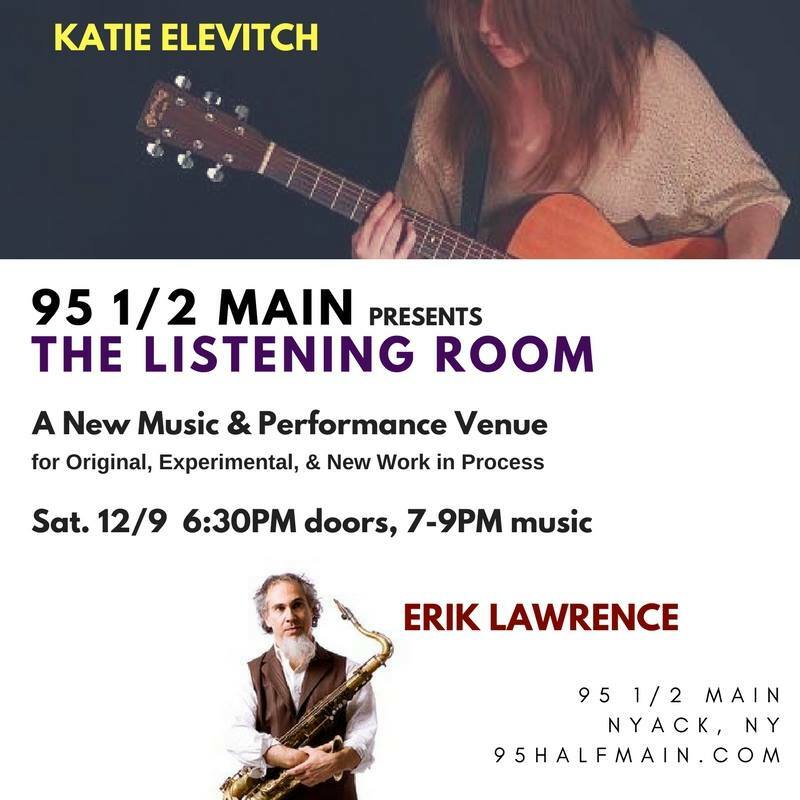 The Listening Room Launches 12/9!